KT Tunstall’s two-hour set at the Barrowlands, with support from Laurel and $AU$AGE$, was uplifting, phenomenal, and everything expected from the Scottish artist and her all-female band. Seeing five women rock out on stage, in a generally male-dominated industry, was very powerful, especially since it was the day after International Women’s Day. Performing a range of songs from all her albums, particularly from her debut Eye to the Telescope and her latest WAX, KT showed that despite each of her six albums sounding unique and different to the rest, performed live they all tie together perfectly. Between each song were KT’s entertaining conversations about what she’s been up to since her previous album, KIN, such as her karaoke-ing adventures in LA. I’ve been a fan of her music since I was about five years old and have been to a few of her concerts over the years, but I only now have just realised how inappropriately hilarious some of her comments between songs are: an experience similar to re-watching ‘Shrek’ as an adult. A particular poignant moment was when KT asked the entire audience to wave their phone torches in the air as she began playing the opening chords to ‘Other Side Of The World’, taking the audience back to the first song of her debut album, showing that after everything, she is same artist she was when she began fifteen years ago. KT involved the audience in a way that made it feel like they too were up on stage with her. This was felt especially in the mass sing-along to ‘Feel it All’, from her melancholic fourth album Invisible Empire // Crescent Moon, dedicated to all those in the audience going through “a crap time”. On a more light-hearted note, the gig that night was being recorded for a live CD, so she asked everyone to shout their names as loudly as possible at the exact same time, so that everyone could be included on the album in one way or another. Of course, KT performed classics such as her loop-pedal rendition of ‘Black Horse and the Cherry Tree’ (which I am still in awe of), and ‘Suddenly I See’, as well as a feel-good cover of Belinda Carlisle’s ‘Heaven Is a Place on Earth’. 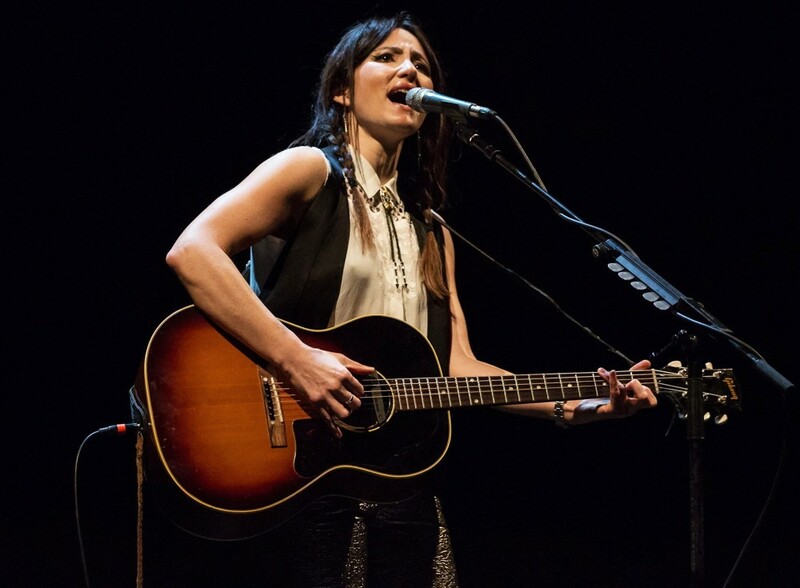 Without a doubt KT Tunstall showed that she is a fantastic artist. Full of energy, talent, and warmth that brought the entire audience together, she proved that she is still producing special, distinctive music after all these years.